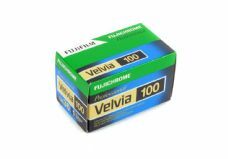 Fujichrome Velvia 100 is a faster version of the it's famous sister, Velvia 50. 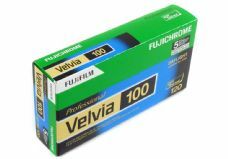 Offering an additional stop of speed, this is an excellent film for more varied conditions, such as travel photography where ISO50 is just a bit too slow. It possesses the same vivid colour as the 50, but in our opinion, it is slightly more controlled, especially in relation to delicate tones. As with the 50, it's ideal for nature and landscape photography. 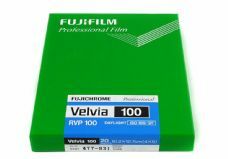 Fuji claim that the film incorporates advanced cyan, magenta, and yellow couplers which enables the additional speed over Velvia 50, but with the added advantages of higher speed and finer grain. 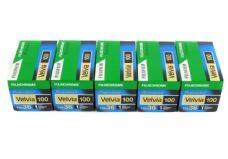 Velvia 100 has an RMS granularity of 8.